Cover Letters - Writer's Relief, Inc. 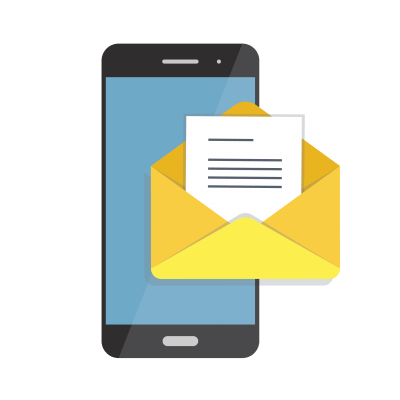 While a full-length novel or memoir might be around 100,000 words long, the query letter summary should only be about 200 words. Anything more and you risk irritating busy literary agents and losing their interest. 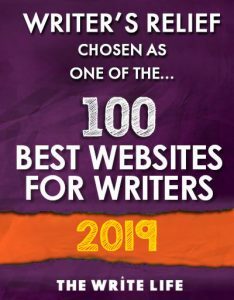 So it’s not surprising that many writers have trouble writing a book blurb or determining what to include in a query—and what to leave out. 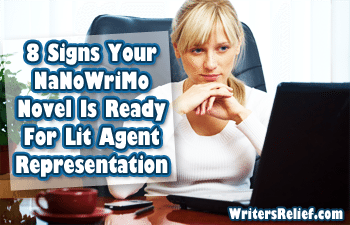 A good query letter presents a smooth plot arc with a clear, singular momentum that defines your book’s primary dramatic tension and points toward its resolution. 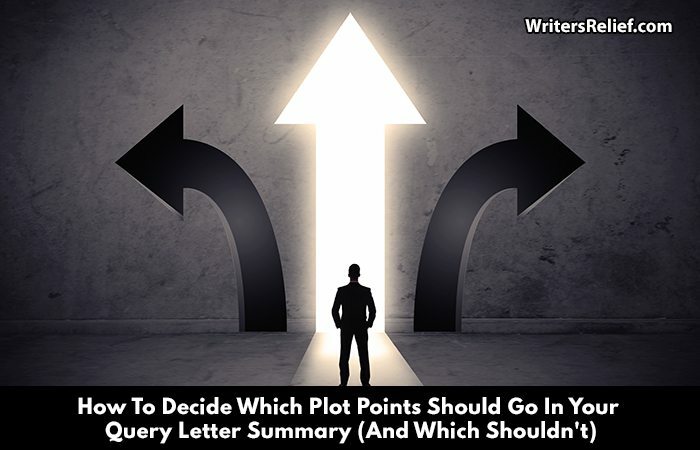 If your query summary bounces from one plot point to another rather than moving in a focused, smooth line, the dramatic tension of your query will be diffused. Every time a sentence shifts the momentum of your plot summary in a new direction, some of your dramatic tension is lost. Kady Smith is a twenty-two-year-old high school dropout who likes cheap beer, old-time music, and working as few hours as possible. When her uptight sister Laurie, whom she hasn’t seen in years, shows up with a screaming newborn and a truck full of her clothes, Kady’s easy life is turned upside down. Laurie has just broken up with her boyfriend and fled with their baby, and she suspects he might be on her trail. Secretly, she wishes they could get back together, even though she isn’t sure that he can be faithful again. The sisters’ meddling parents—hearing that Laurie has resurfaced—also arrive in town, making Kady’s one-bedroom apartment feel that much smaller and bringing old family wars back to the fore. And as if that isn’t bad enough, Kady’s boss at the factory is trying to put the moves on her—and she’s not interested. But she IS interested in the way-out-of-her-league mechanic who works across from the deli where she eats lunch every day—the deli with the clerk who takes every opportunity to bring up the one time he and Kady almost had a one-night stand. When Laurie’s ex-boyfriend turns up in town with a shotgun and a grudge, Kady will have to make big choices about her priorities—what is she willing to do to save the family who drives her nuts? In this book blurb summary, the plot is all over the map. At first it seems the book will be about Kady’s relationship with her sister and family. But then we’re ping-ponged through plot points and query letter POV switches about ex-boyfriends, job problems, and would-be romances. Each of these plot points does support the book’s major themes (family relationships, romance), but all together they are simply too convoluted. A better choice would be to focus the book blurb on the main conflict and stick with Kady’s POV (leaving out Laurie’s secret wishes). Kady hopes to convince her sister to leave on her own, so she turns up the dial on her worst habits—from partying at all hours to never taking out the trash. But when Laurie’s ex-boyfriend turns up in town with a shotgun and a grudge, Kady will have to make big choices about her priorities—what is she willing to do to save the family who drives her nuts? In this book summary, we’ve lost a bit of the romance subplots, but what we’ve gained in evocative emotional resonance and momentum makes for a much more effective query letter blurb. 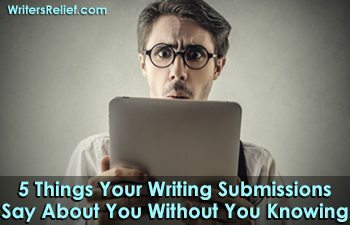 Because your query letter needs to make a big impact with as few words as possible, it’s important to focus on the main drama to inspire a stronger reaction in your reader. 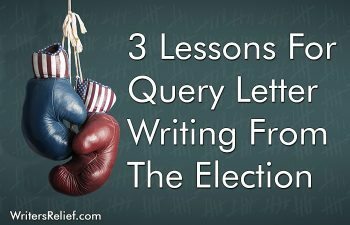 Read more about how NOT to write a query letter. Question: Do you love or hate writing query blurbs? 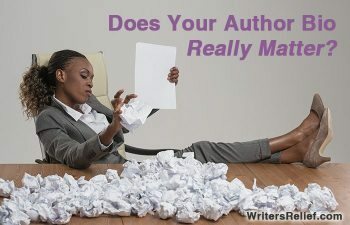 Does Your Author Bio Really Matter?